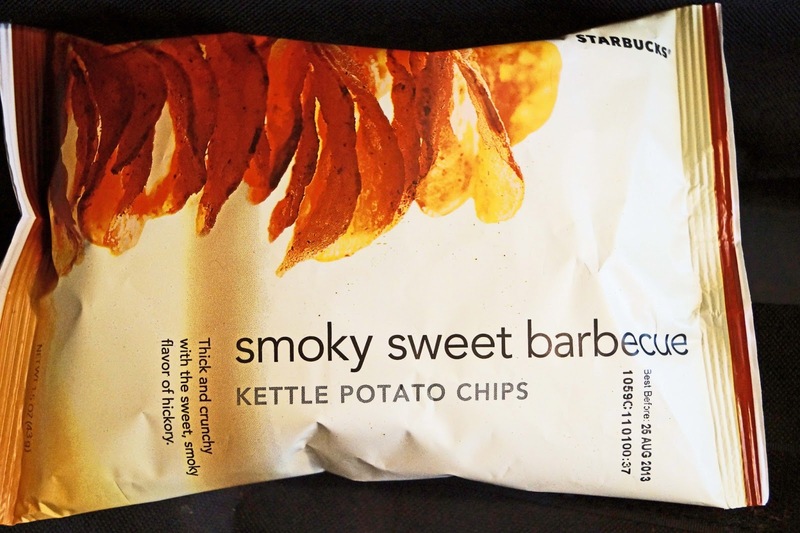 I was waiting in line waiting for my Barista to create a 'double shot, soy, low fat, no foam, venti, cappuccino, with room' when I spied a bag of 'smoky sweet barbecue kettle potato chips'. Who knew that Starbucks sells their own house brand of chips? 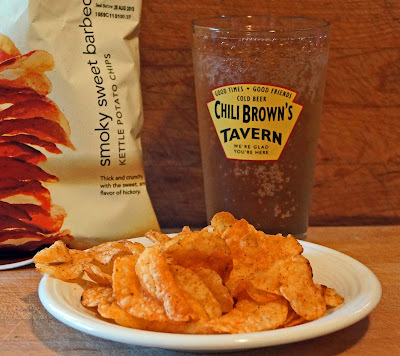 Having bbq potato chip with your coffee must be a trend that I am not aware of. The chips are placed strategically by the cash register for that impulse buy. Well, 'Mama didn't raise no fool' so I grabbed a bag. I had to use a lot of restraint to not rip open the bag on the trip home. These chips were pretty darn decent for a kettle style potato chip. The jury is still out if they really go with your coffee. I was reading that Starbucks is introducing a new menu from La Boulange. Nice mug! Greg, I like the mug, which was a gift, except I spell it Chil-E-brown. I try to stick to just coffee when I visit the cup of Joe dispensaries. Pastries, rolls and bbq chips are distractions that I love but am trying to resist. I used to have a dog named Chili. Named him after Chili Davis. Three Dogs BBQ, I will look out for the crab seasoning chips. I have never heard of those. cookiecrumb, Chili Davis a great Bay Area sportsman. Chili or Chile, I love and eat them both.